Hi! Thanks for stopping by my blog post. 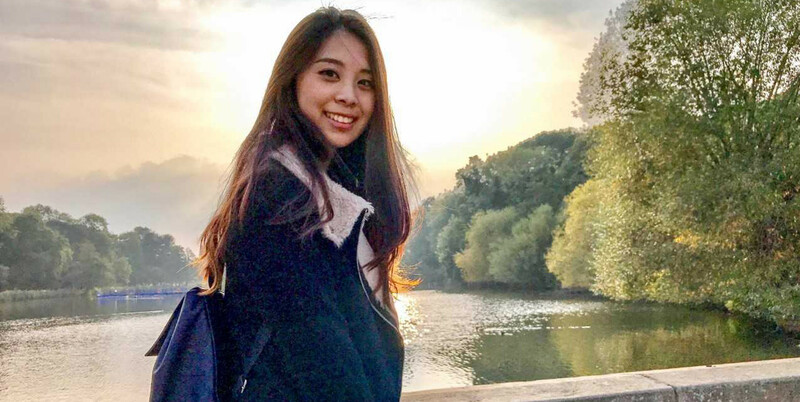 I’m Joey, an alumna from the University of Nottingham, you might have seen my face before in one of the vlogs for the University. So, here’s a little story of my job hunting journey in Malaysia after my studies in the UK. I still remember the end of last year, I had this mixed feeling of bittersweet and slightly nervous. I felt bittersweet as I was excited to go back to my home country, Malaysia after so long. However, at the same time, there’s this glum side which I would have been approaching the time to leave a place I called home for a few years that great memories were made in. As well as this, I felt nervous as I was not sure what’s out there waiting for me back home in Malaysia. I was uncertain about the state the job market was in. During my study period in Nottingham, I received professional advice from the amazing Careers Team at the Career Office. This was by attending career appointments to understand my career pathway, my career options and getting feedback for my CV! I even dropped by to some of the events to polish up my career preparation which I have also created a vlog about it. As for the services and events that I mentioned above, you can find them in MyCareer which would provide you with so much help for your career preparation. Upon returning to Malaysia, as I was quite clueless about the job market situation. 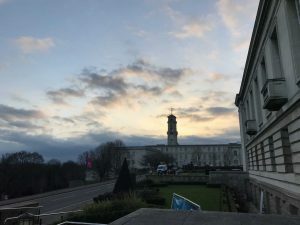 With the help of the Careers Team at UK Campus; I managed to get contact with a career adviser based in the University of Nottingham Malaysia Campus. I booked onto an appointment to meet him to understand more about the industry and how to look for jobs in Malaysia. The Career Advisory Office is located at Room HB14 & HB15 (Block H), Level 1 of the Malaysia Campus. Absorbing the advice from the lovely career advisers from both campuses, I then thought about my career prospects and began to consider which industry I would like to work in. I came to the conclusion that I would want to work in the education sector and had an interest in working with students/young adults. From there I then begin to scope down the work sector to look for opportunities and submit my applications. Not long after, I was called for an interview from one of my applications. Using the information that I learned from the workshop about how to ace the job interview, I created a vlog on how to succeed in an interview. Following this experience, I prepared for the interview where I tried my best and got the job! I secured a Education Consultant role at Heriot-Watt University Malaysia. Currently, I am loving the job environment so far and learning as I go. All thanks to the support and guidance that I received from the Careers Team throughout my studies as well as after university life. I would encourage any current student/graduates to go for career appointments, career events and drop-in sessions by the Career and Employability Service. It would definitely help you in your career development and lastly, good luck in your job search! If you are an international student or looking to work globally, book on for a careers appointment with one of our advisers. We will offer you support wherever you are in the world. We provide a programme called Passport Career. This service allows you to view a variety of employers globally, get advice for cultural differences and supports you throughout the application process.